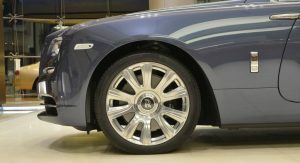 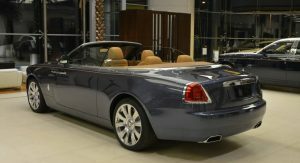 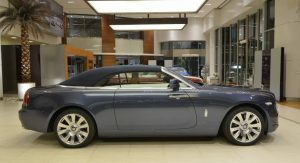 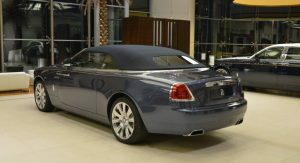 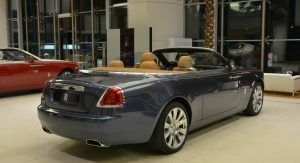 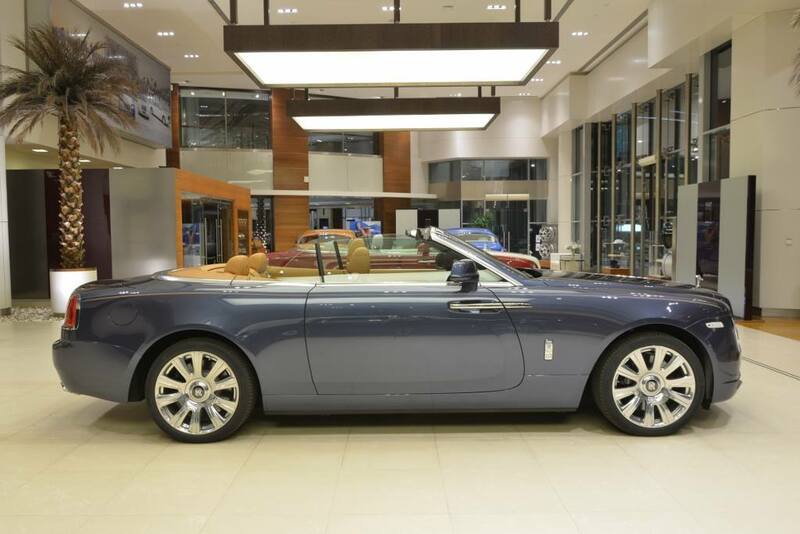 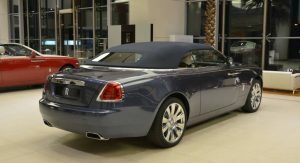 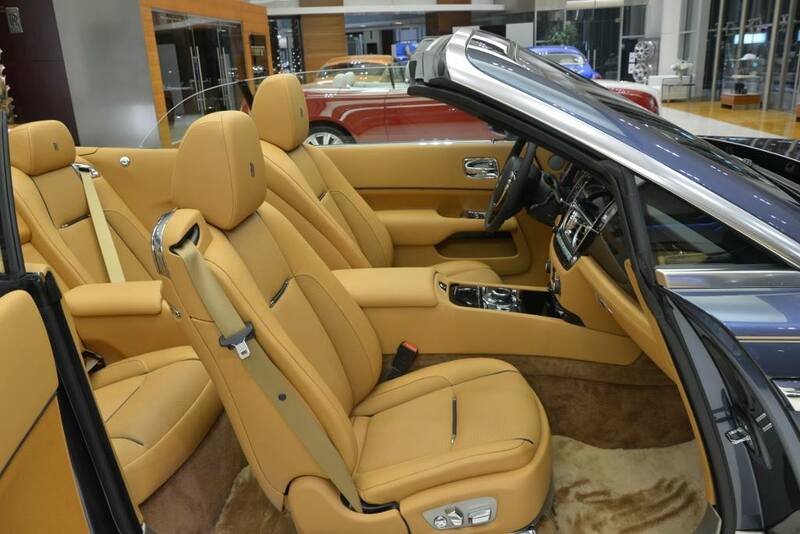 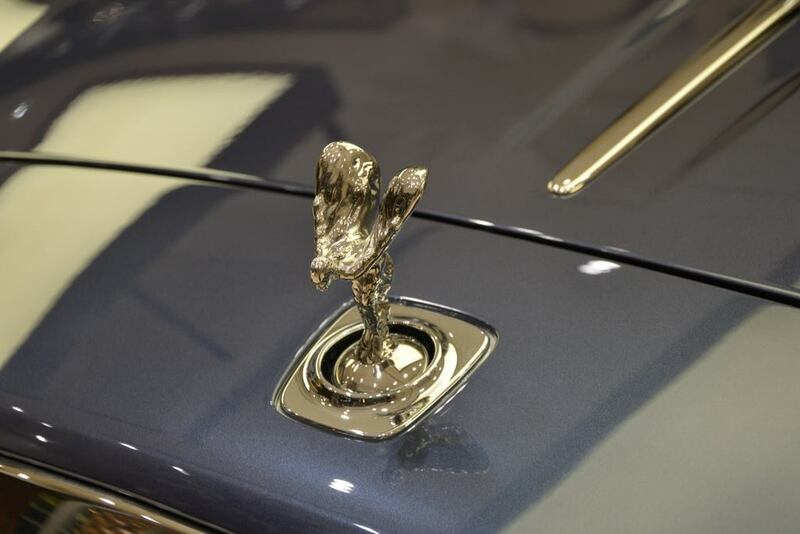 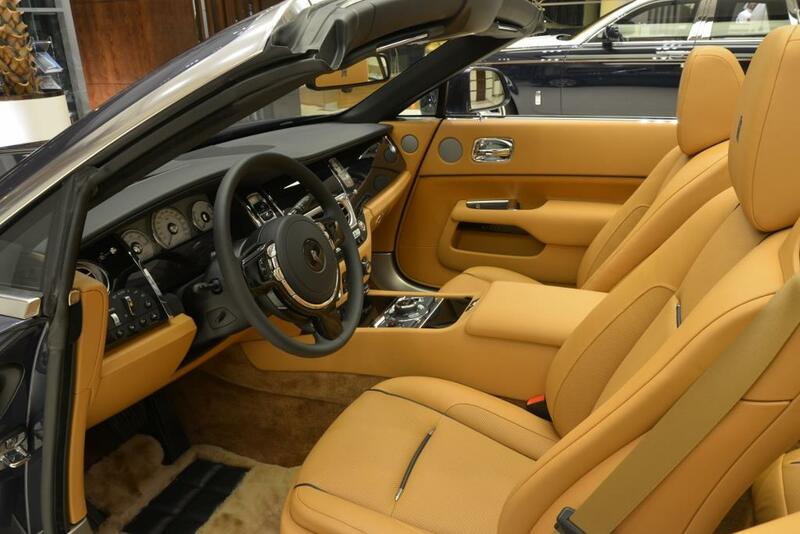 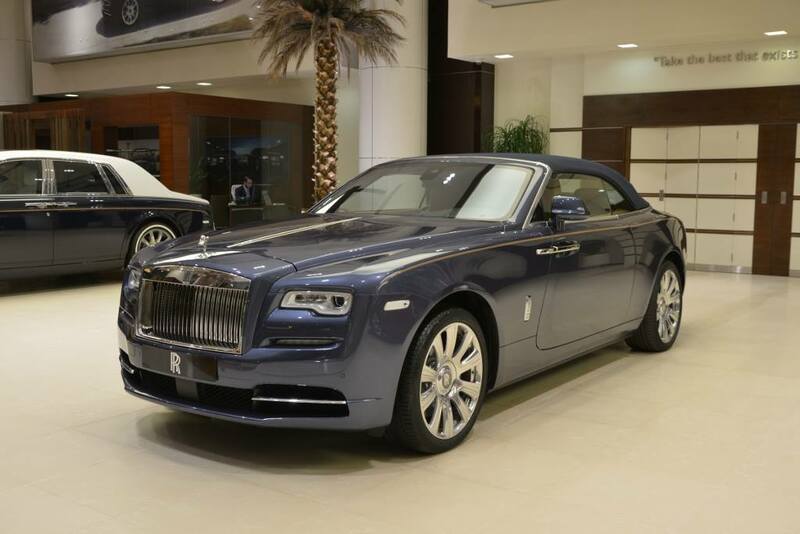 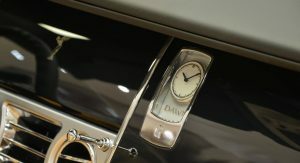 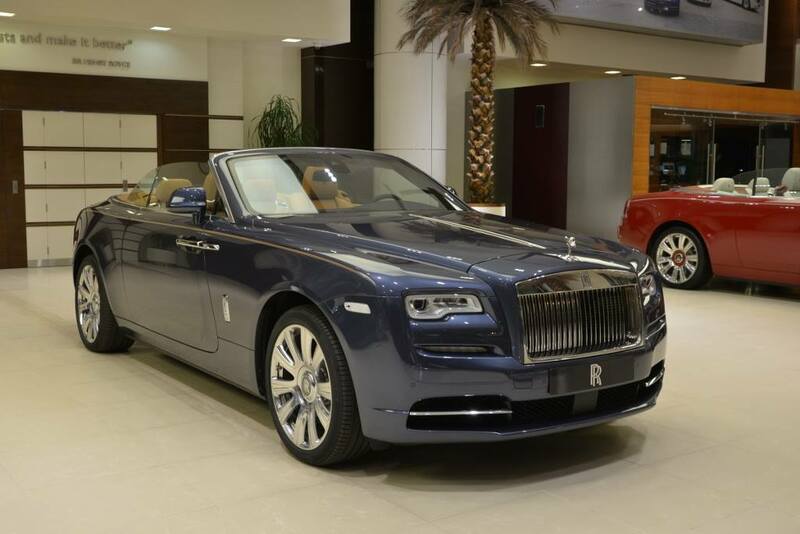 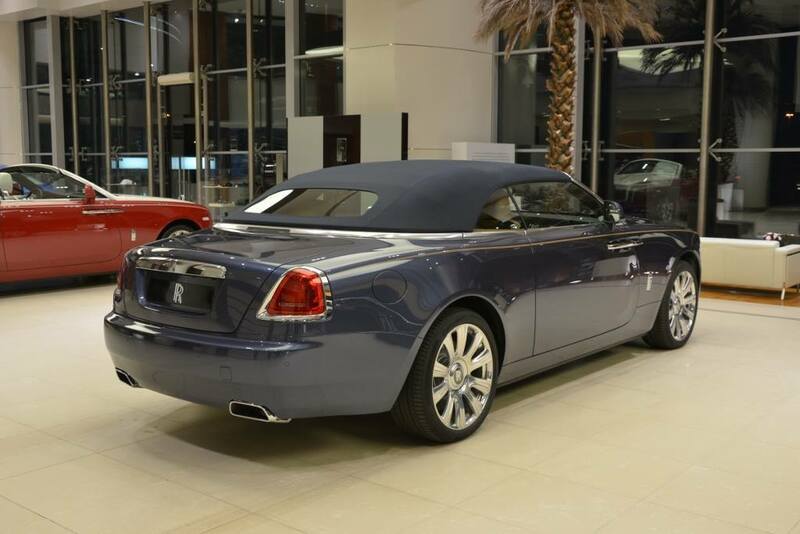 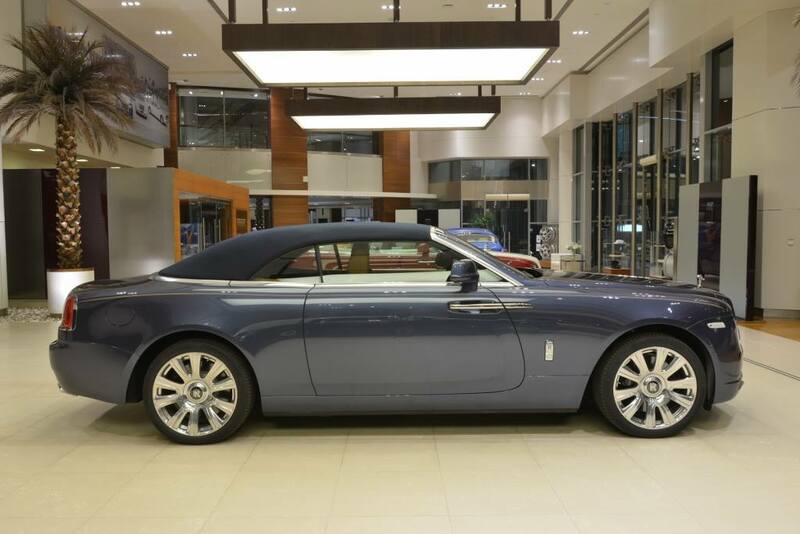 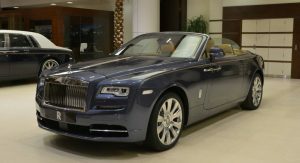 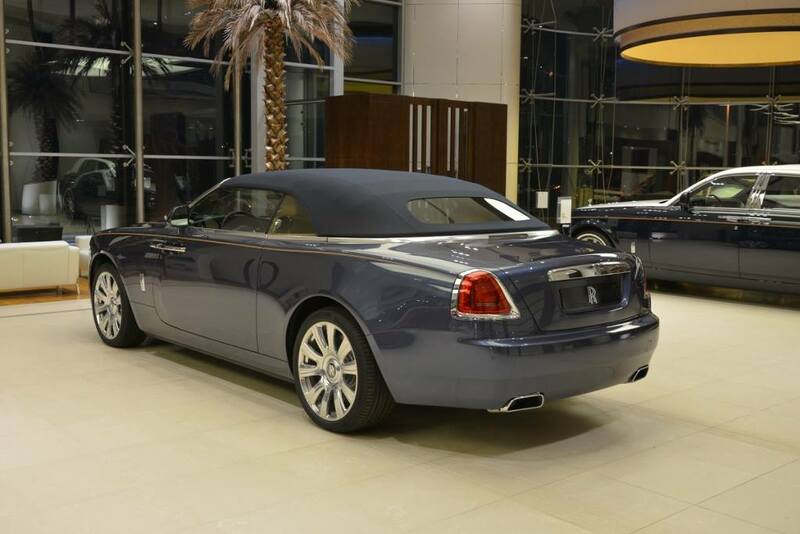 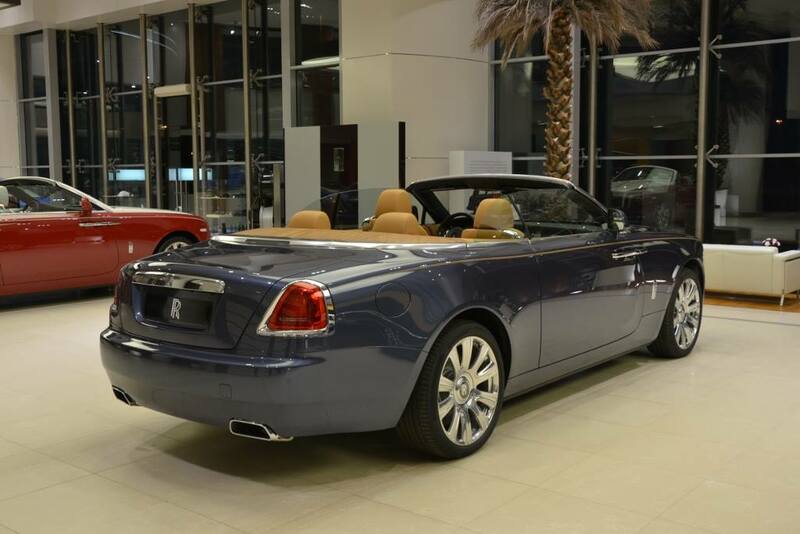 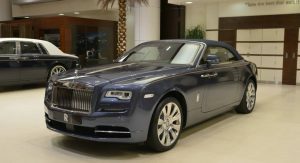 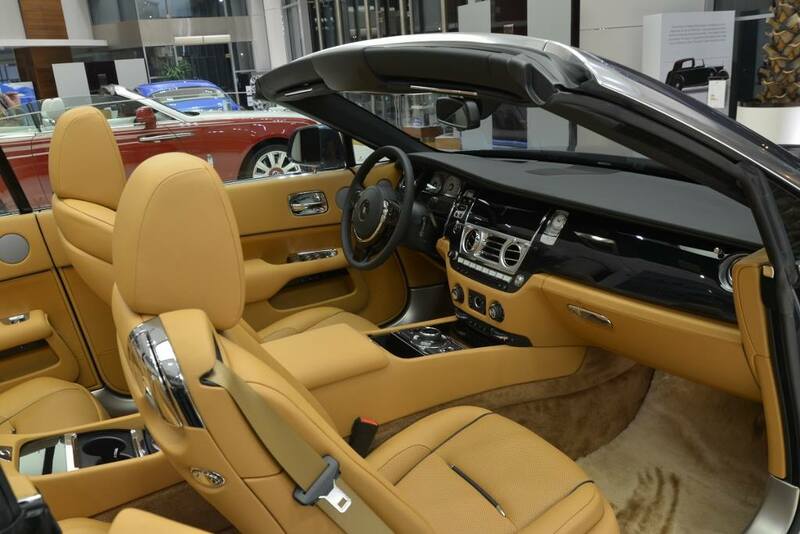 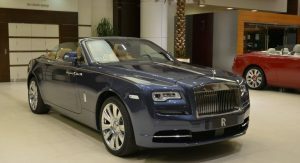 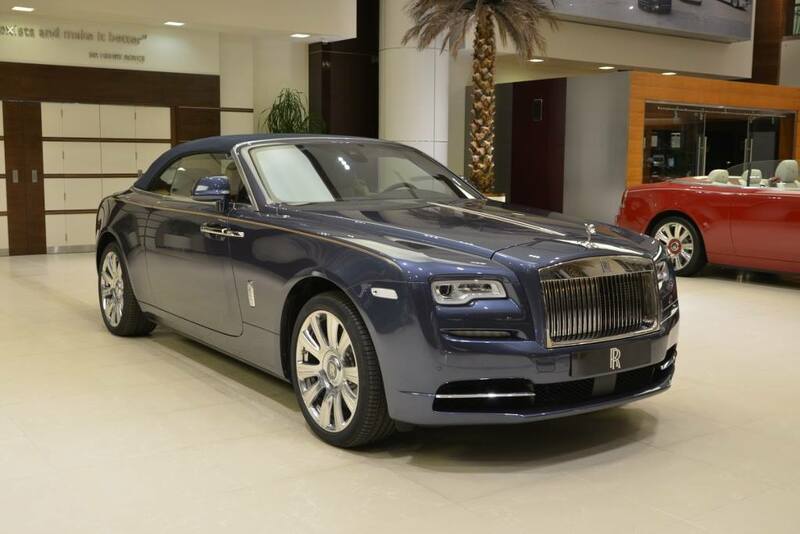 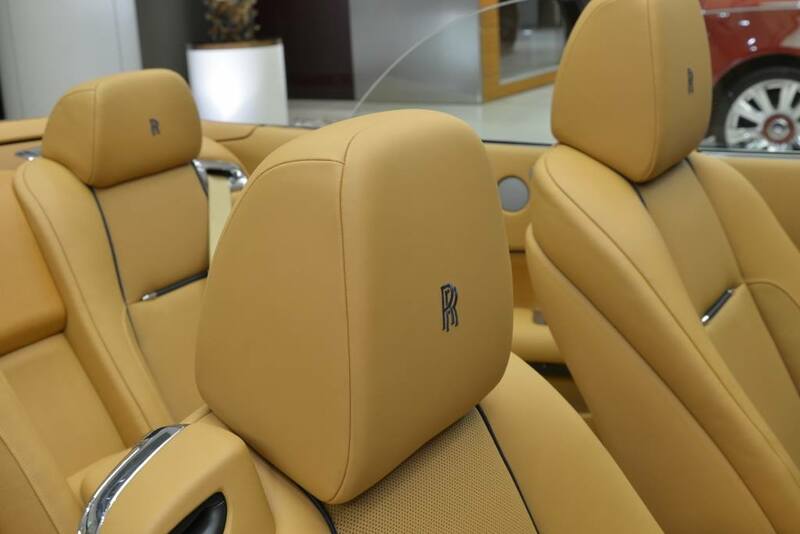 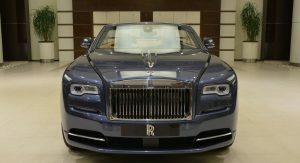 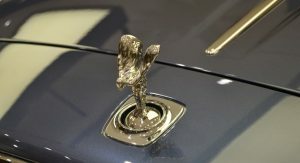 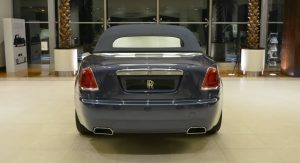 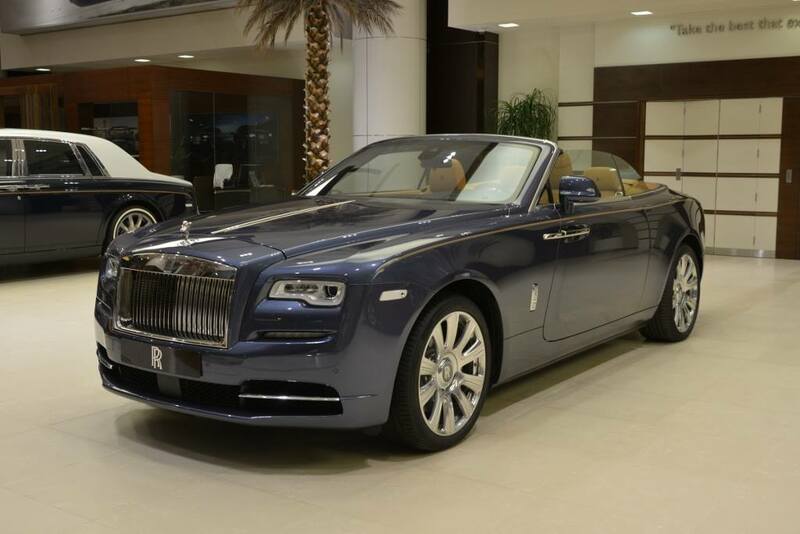 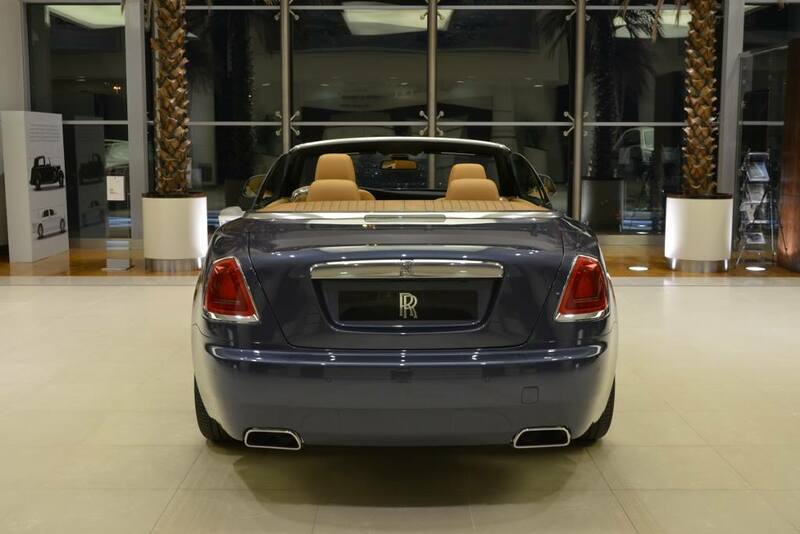 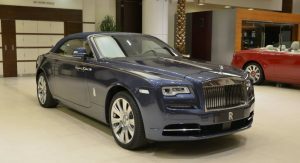 If you’re in the market for one of the world’s most opulent luxury convertibles, you really can’t do any better than the Rolls-Royce Dawn, especially if you go for a bespoke color combo. 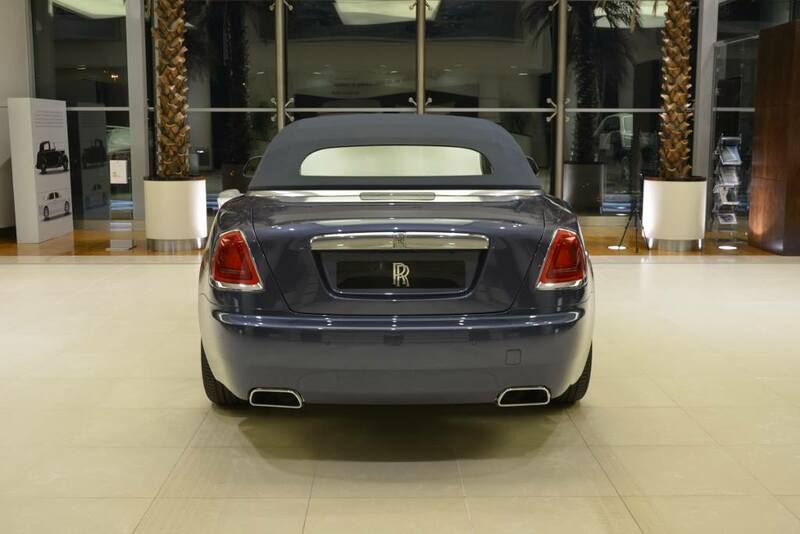 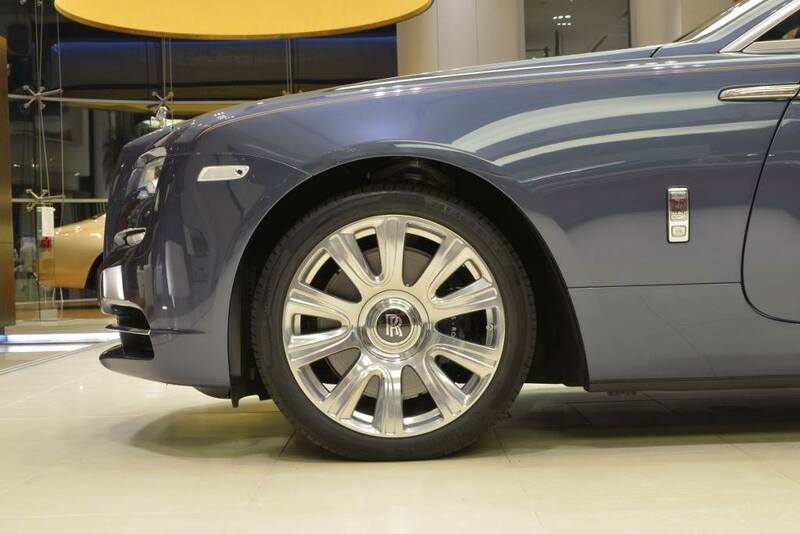 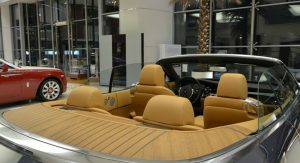 This particular car, on display at the automaker’s Abu Dhabi showroom, features an Iguazu Blue exterior with gold stripes along the shoulder line, plus a custom Tan interior, with cream leather covering pretty much every surface from the upper dashboard downwards. 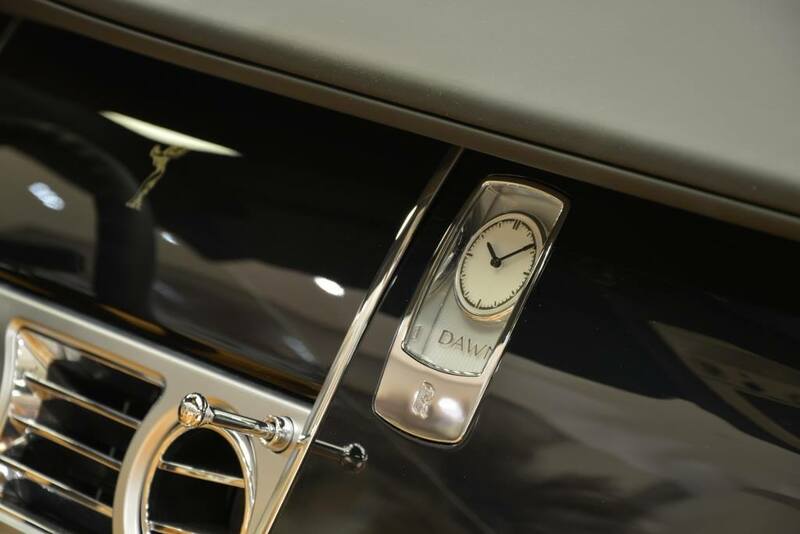 Together, they make for a very powerful contrast, especially with that soft-top tucked away, revealing the Dawn’s updated instrument dials and new 10.25″ high-definition screen. 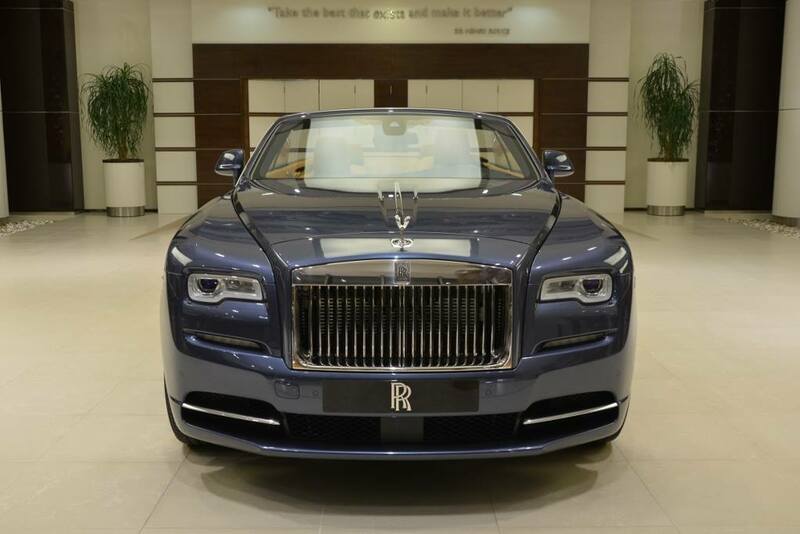 The Dawn is not all looks, though – quite the contrary, as its 6.6-liter V12 has an output of 571 PS (563 HP) and 780 Nm (575 lb-ft) of torque. 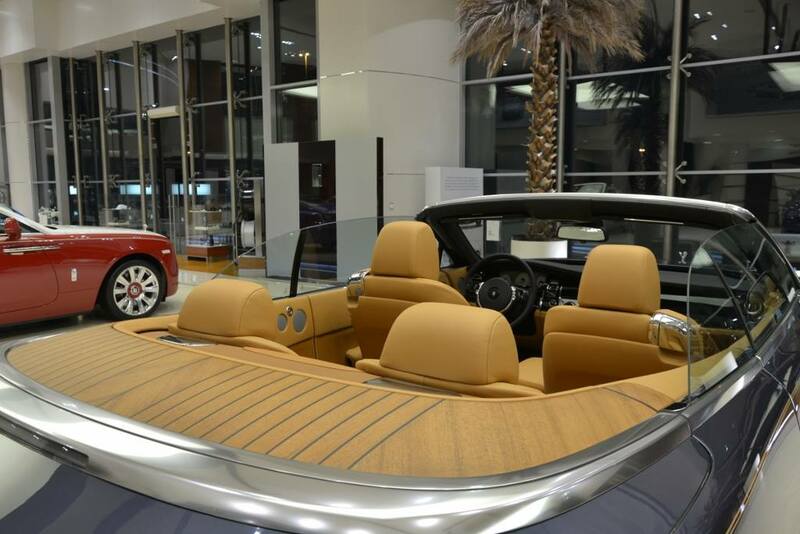 While the roof needs a lengthy 22 seconds in order to slide up or down, the world’s quietest convertible is a lot faster when it comes to straight line performance. 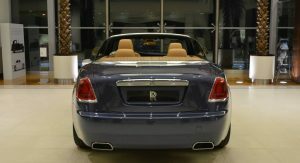 It will hit 100 km/h (62 mph) in 4.9 seconds, and max out at an electronically limited 250 km/h (155 mph). 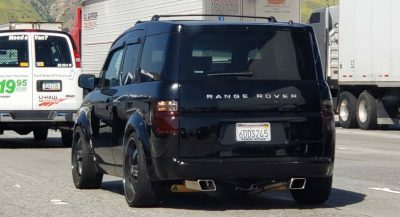 Whomever desires more, both from a performance perspective as well as visually, can go for the sinister-looking Black Badge Edition, although you’d be forfeiting your choice of bespoke color combos. 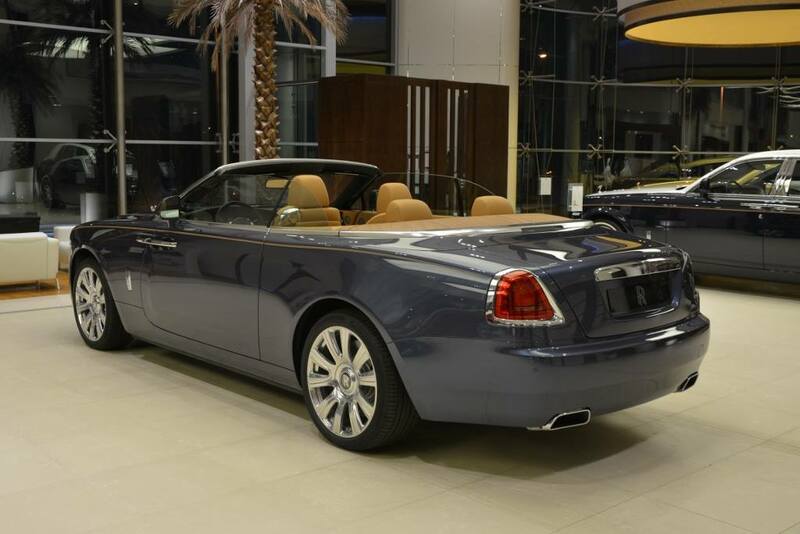 This is certainly a beauty. 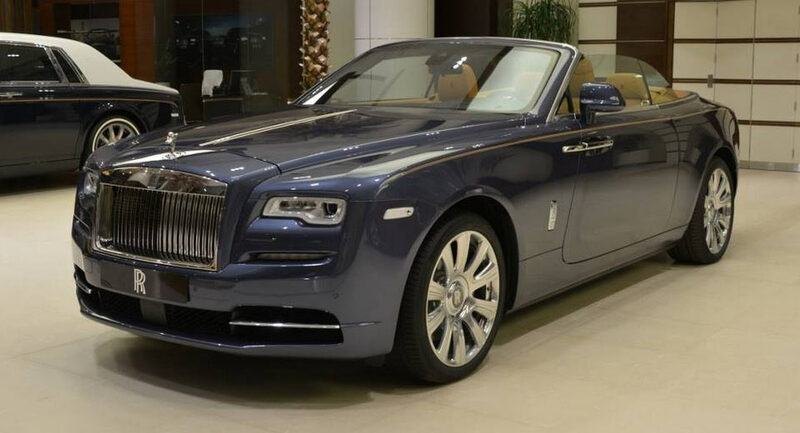 Love the color combo and everything else about it. 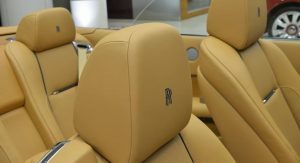 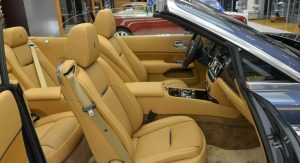 All Rolls Royces interiors are bespoke, but I gave up all my expectations from this “author”. 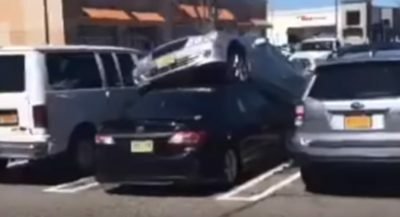 Previous PostPrevious Could The New Mazda CX-5 Be The Best Compact SUV In The Market?